The amber liquid spilled forth into the glass, redolent with caramel and licorice. The tall, dark and handsome gentleman pouring the drink smiled as he described the winemaker's impetus behind using rotting fruit to his advantage. "It's a unique approach, something close to a Hungarian Tokaji. Not too sweet, just enough acidity to ..."
I brushed away his next words with a wave of my hand. "Stop," I said, the faint quiver in my voice betraying a flustered state I was desperate to conceal. "You had me at Hungarian Tokaji." I gave him a knowing look and slowly lifted the glass to my lips. The County came to the City for a brief visit last Wednesday, on the heels of a successful run in Toronto. Debbie Trenholm and her Savvy crew were at the helm, with a dozen wineries eager to pour their enticing potions. A recipe for a memorable evening - how could I possibly resist? Devil's Wishbone 2010 Cabernet Franc - Big winner of the night. As I drank this, I tweeted up a storm about how the County totally OWNS cabernet franc. Never mind the chards and pinots (although they are pretty damn good, too) cabernet franc is where it's at here. All fruit, no green. Niagara can't hold a candle to what PEC is doing with this varietal. This one was all chocolate, tobacco, raspberries and roasted coffee beans. It was thick and jammy, but with a strong tannic backbone to it. Winemaker Paul Gallagher spoke of its harvest with love-struck reverence. "The grapes were so tiny, so pretty ... I hated to squish them," he crooned. I also tried his '10 Chardonnay, aged in oak for a mere five weeks. Bursting with pineapple, nutmeg and pina colada; more spice and nuttiness with all that lush tropical fruit on the follow-through. 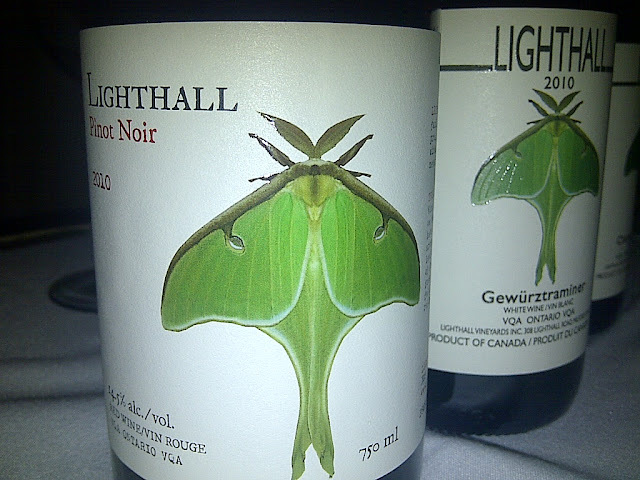 I was thrilled to catch sight of Lighthall Vineyard's signature pale green luna moth adorning a long line of bottles. I started with the 2011 Progression, a 100-per-cent vidal bubbly. Sweet, perfumed nose, with a chalky feel, citrus notes and a juicy finish. Onward to a gorgeous '10 Gewurztraminer: honeyed, floral, with medium body, tangy acidity and balance that was pure poetry. But it was the '10 Pinot Noir, with its make-your-knees-weak soft fruit and rugged undercurrent of earthiness that really stood out. A jovial conversation was had with Richard Karlo, of Karlo Estates, while he filled our glasses with his 2010 Bordeaux blend, Quintus (cabernets sauvignon/franc, merlot, petit verdot and malbec). Smooth and silky, ripe red berries, a whisper of mint and a long finish that caressed the palate. His 2010 Petit Verdot was a delight, too. The vines were planted in rehabilitated soil over a former gravel pit, still stony enough to encourage the roots to go ever deeper into the ground for sustenance. The end result: a pungent, earthy wine polished with plummy richness. Oh, and that aforementioned tall-dark-n-handsome fellow? Bryan Rogers, general manager of Keint-He Vineyards. After I recovered from my initial swoon, I let him guide me through several samples, saving that precious amber liquid for last. A 2008 Pineaux Sauvage, made from botrytis-affected pinot noir. 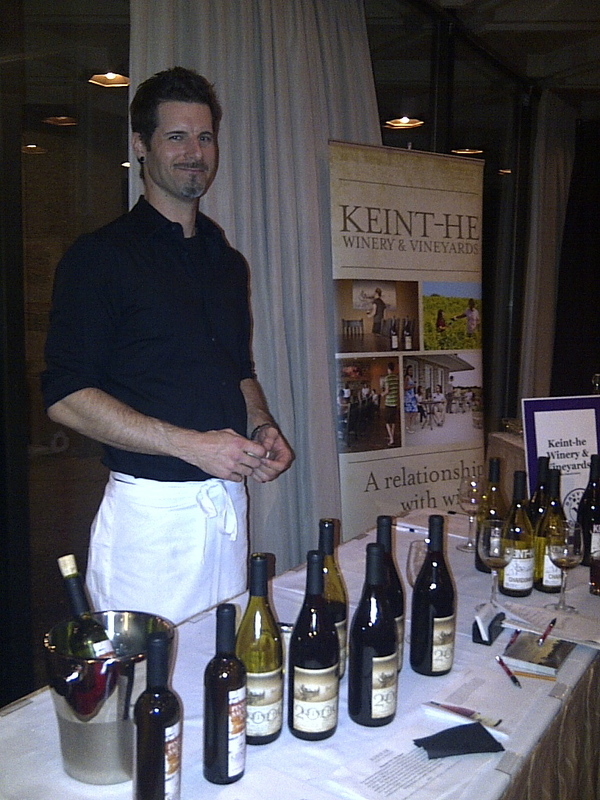 Apparently, the VQA wasn't too keen about it at first, but celebrity chef Jamie Kennedy proclaimed it a winner. "You're setting the benchmark," he said. "The County's in that one." I was decidedly reluctant to leave at the end of the night. I could have stayed there till the wee hours, enjoying both the company and the wine, but alas, my palate (and money) was completely spent. This is a delicious blog! Many thanks for joining us when County in the City arrived in Ottawa. You will be the first to receive an invitation for next year's event! Enjoy your order of new favorite wines & let me know when you are touring The County. I'll share with you my must visit winery list. Cheers!